TORONTO — Once Ken Tanenbaum opens for business, he can never stop. Literally. The 47-year-old eldest son of Larry Tanenbaum, a household name as the chairman of the country’s most valuable sports enterprise Maple Leaf Sports and Entertainment Ltd., is less focused on sport and more interested in talking about the ONroute “truck stop” network he has spearheaded across Ontario’s major highways. “They have to be open 24/7, 365 days a year. Once, it’s open, it’s open forever. When you turn the lights on, that’s it,” says Tanenbaum, vice-chairman of Kilmer Van Nostrand Co. Ltd., which teamed up in 2010 with global restaurateur HMS Host to win a government contract to redesign the tired old highway stops along two of the province’s major thoroughfares, Highway 400 and Highway 401. 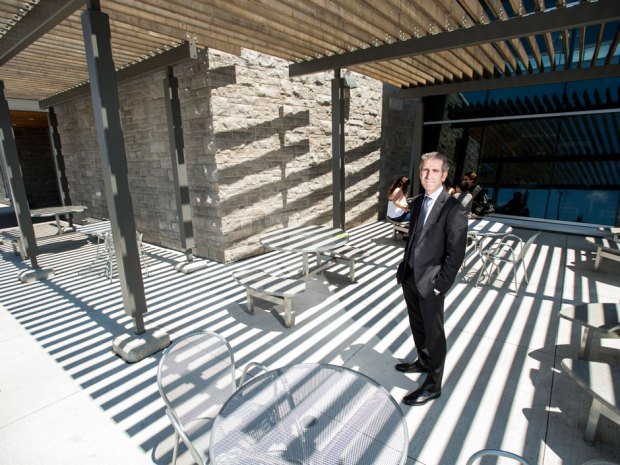 The latest of the structures, designed with lots of natural stone inside and out and built with the bow of the building intended to evoke images of an Ontario rock outcrop, opened in June in Innisfil, about 80 kilometres north of Toronto. “We used natural glass and a lot of wood, we wanted to create something that felt a lot like Ontario,” he says of the projects, which stretch across a network of 1,000 kilometres and provide rest, food and “calm from the storm” to an estimated 35 million truckers and motorists. Tanenbaum says the average visitor spends $4 on food and beverage and spends 20 to 25 minutes. Tanenbaum started in the core of the family business, which was heavy civil construction and construction materials, after finishing business school in 1991. And he didn’t go straight to the corporate offices. 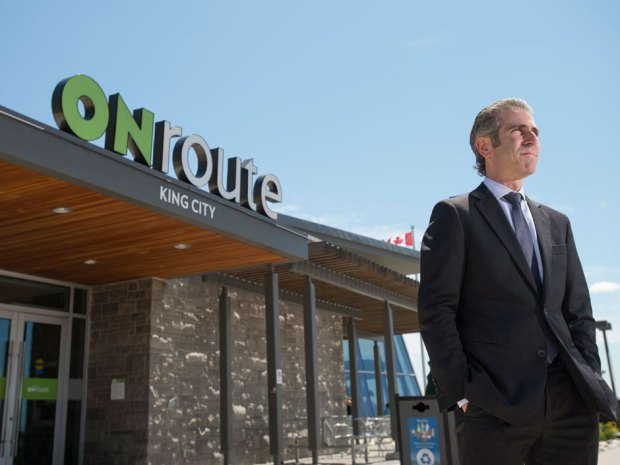 These days he’s passionate about his 20 ONroute sites — three more are to open by 2025 with capital costs of about $20 million per building. The sites date back as far as 50 years when the properties were leased by the province to oil companies who sublet to food operators. As time went on, the oil companies were not all that interested in investing in the properties. To try to upgrade the sites, the Ontario government put out a tender for a public/private partnership to create a consortium to design, build, finance and operate these centres. Tyler Anderson/National PostThe rest stops are designed with lots of natural stone inside and out and built with the bow of the building intended to evokes image of an Ontario rock outcrop. Tanenbaum and his partners spent a year responding to a government tender and submitted a plan to build three different sizes of stops, from 9,000 to 22,000 square feet. Across the network they have 16 brands with one constant being a Tim Hortons at every location. Other vendors include Starbucks and Burger King. The properties — expected to have 50-year lifespans, which matches the terms of the deal with government — are unique in the world of real estate because of their isolation. They are only accessible unidirectionally from the highway but many are off sewer lines and need their own waste water treatment centres. Plus, because they never close, all the sites require a massive generator for emergencies. Tanenbum won’t give any details of the contract with government in the public private partnership, but says the Ontario government shares in some of the success of the venture while he and his private partners take more of the risk. “We sell more burgers and it benefits us and it benefits the province,” he says.